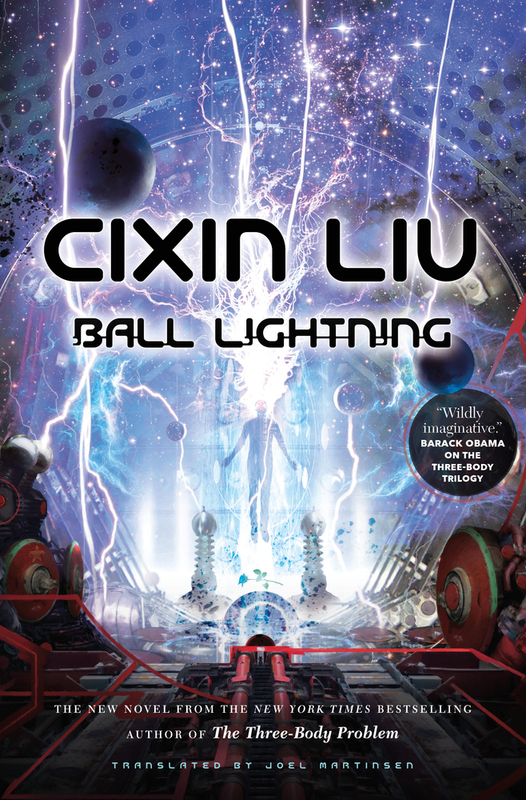 Ball Lightning, the newest book to appear in English from the bestselling Chinese science fiction author Cixin Liu, was actually written over a decade ago, at about the same time as this writer's famous Three-Body Trilogy. It appears now in part thanks to the success of that trilogy and dovetails nicely with the other books in terms of both tenor and some key background plot elements. In a brief Afterword and the end of Ball Lightning, the author characterizes it as a kind of prequel to The Three-Body Problem, The Dark Forest, and Death's End. Approaching the two statues was the most frightening moment in my life. In the past, my terrors had mostly been in dreams. I had been able to avoid a mental breakdown in the world of my nightmares because my subconscious was still awake, shouting at my consciousness from a remote corner, “This is a dream!” Now, it took that voice shouting with all its might to keep me moving toward my parents. I reached out a trembling hand to touch my father's body. As I made contact with the gray-and-white surface of his shoulder, it felt like I was pushing through and extremely thin and extremely brittle shell. I head a soft crackling, like glass crackling when it is filled with boiling water in the winter. The two statues collapsed right before my eyes in a miniature avalanche. The novel's story expands to include terrorism, war, and a few half-hearted stabs at investing Chen with anything resembling a personality (he may be terrified at the moment of reaching out to touch his char-cooked parents, for example, but readers never see him grieve for them, or miss them, or remember them in any personal way). When ball lightning's potential as a weapon of war is explored, the parallels with previous doomsday weapons in previous World Wars are invoked with a good deal of thought but no art. Chen, who's seen ball lightning fatalities up close in his own home, naturally develops a revulsion to seeing the phenomenon fashioned into a battlefield weapon, but the narrative is far more interested in tracing the development of the military's use of the science than it is in Chen's reactions to any aspect of what's going on. This can make for some fairly bloodless reading, despite the interpersonal tensions Cixin Liu amplifies between secondary characters in the book's final third. The final big revelation of the plot – and the book's most obvious connection-ramp to this author's more famous trilogy – digs deep into the science of the quantum realm and the phenomenon of superposition and pulls out a couple of moderate surprises, but Ball Lightning will nonetheless surely appeal far more to Cixin Liu's large body of established fans than to a newcomer perhaps wondering what all the fuss was about.